If you’re staying in Marrakesh and have no idea what to do, we’ve got the perfect itinerary for you! Read on to find out all the spots to hit on this self-guided walking tour. No trip to Marrakesh is complete without a tour of one of the many spectacular palaces, so start your day at Bahia Palace. This eight-hectare palace was built in the nineteenth century on the orders of the Grand Vizier Ba Ahmed ben Moussa. The creation of this magnificent palace took over a decade and was created in two stages to accommodate additions made by Abu Ahmed at the end of the nineteenth century. 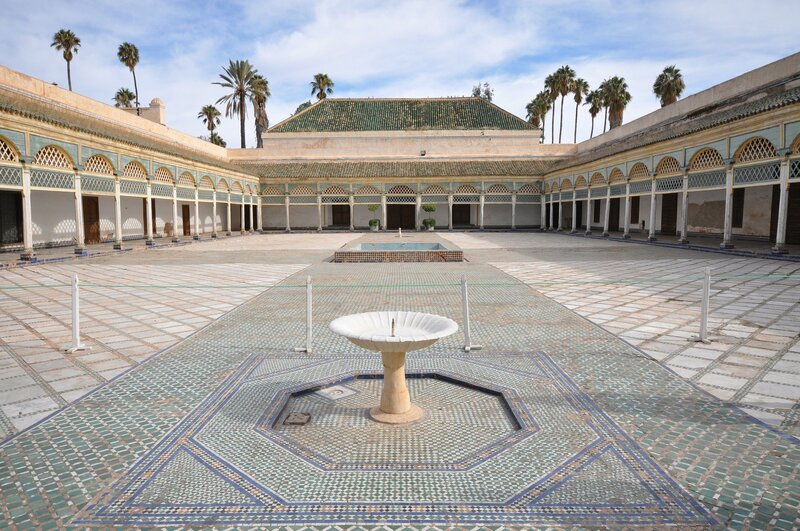 Nowadays, the palace is open to visitors and hosts music and art exhibitions and occasionally, a member of the royal family of King Mohammed VI of Morocco. Next up is the El Badi Palace! Here you’ll find the remains of this grand palace including its garden walls and ornamental orange orchard, which still stand to this day. This Palace was built in the 1500s by the sultan Ahmad al-Mansur and was funded by a payment agreed upon when Marrakesh defeated the Portuguese during the Battle of the Three Kings. When you walk among the ruins today, you’ll be able to imagine the breathtaking palace that once stood before it fell into disrepair. The best times to go are during the spring and summer months when the gardens are blooming, but you’ll still have plenty to see during the fall and winter months. 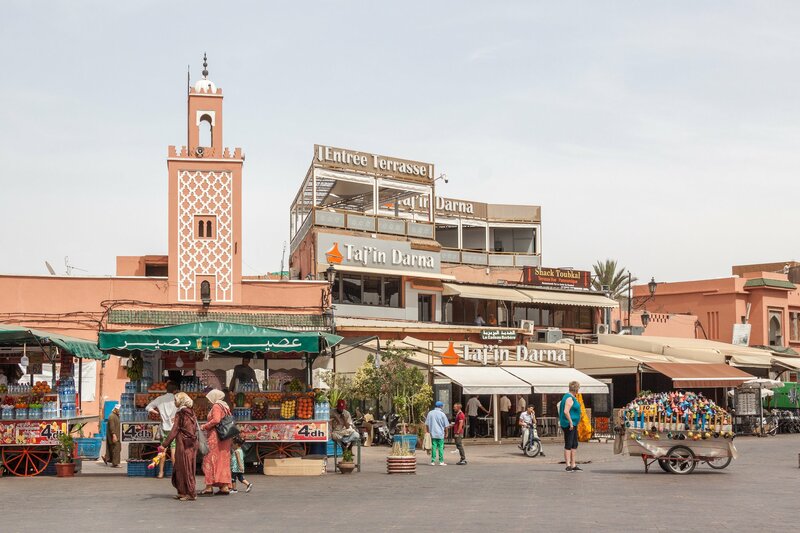 Throughout Marrakesh’s past, Muslim and Jewish people were able to set their differences aside to work harmoniously to bring prosperity to their business. During the 1500s, many Jewish people living in Marrakesh resided in what was called a Mellah, which was a separate quarter that was protected by walls. Today, there aren’t that many Jewish people remaining in Marrakesh, but some of the ones who have remained continue to operate businesses in the Mellah. 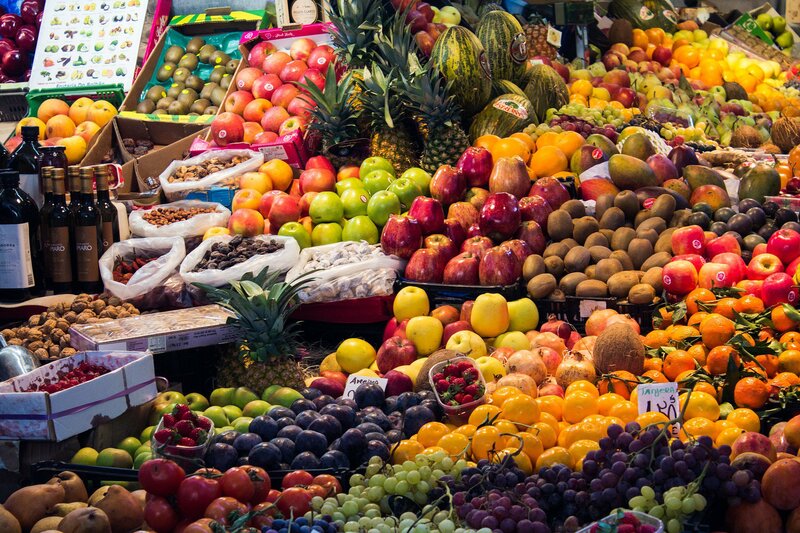 You can also grab a quick bite to eat here from one of the local markets before you move onto the rest of your day. 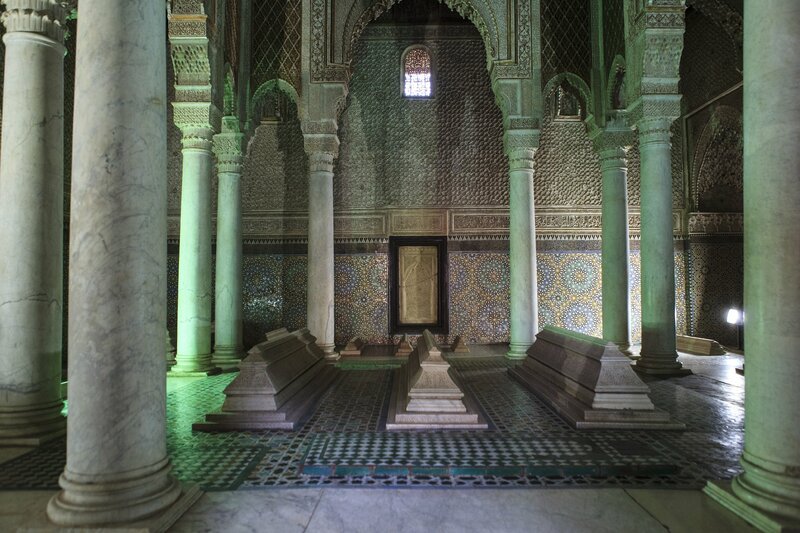 Once you’re done at the Saadian tomb, make your way over to the Koutoubia Mosque. This mosque stands at 77 meters and is the largest mosque in Marrakesh. During the day, you can see the decorative windows, arches and other impressive architectural features that make up the mosque. The mosque dates back to the 12th century and was commissioned by the Berber Almohad caliph Yaqub al-Mansour. If you get lost trying to find it, you may just be calling it something different than the person next to you as it’s known by many other names like, Jami ‘al-Kutubiyah, the Kotoubia Mosque, the Kutubiya Mosque, the Kutubiyyin Mosque and the Booksellers’ Mosque. For dinner, you can stay in the square or head out to one of the more local restaurants like Café Tiznit. You can also eat in the restaurant at the Hôtel Riad Omar or another local place you find along your travels. These types of restaurants are less likely to scam you and you’ll be able to eat like the locals do and enjoy the Moroccan food that Marrakesh has to offer. At the end of the day, they do say the best food in Morocco is served at homes rather than restaurants. 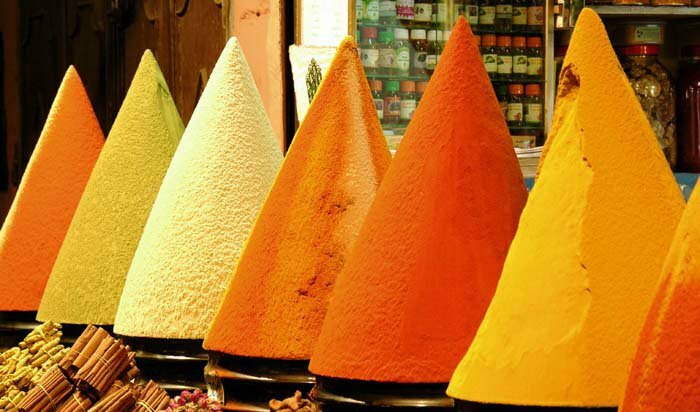 Hopefully, this itinerary of places to see and things to eat will guide you on your trip through Marrakesh. But remember, the exciting things happen when you least expect them so keep your eyes open and your head up so you don’t miss a minute of it!